Today’s post is different from my other 365 project entries. This photo was taken in 2010. Not a great photo, but a very meaningful one. The subject in focus is Lisa, not my Lisa, but my “cousin” Lisa. Yesterday, Lisa ended her battle with cancer, a fight she fought for almost three years. She was young no older than about 44 years of age. I knew her since she was probably a toddler, if not an infant. My fondest memory of her was when during our annual “Manila Bay Christmas Party” she and I stole a dessert, I think it was a banana split pie and we took off to the basement in my house with it and ate it while our other “cousins” were trying to take it from us. I think I was 19 or 20 at the time and she was probably 12 or 13. 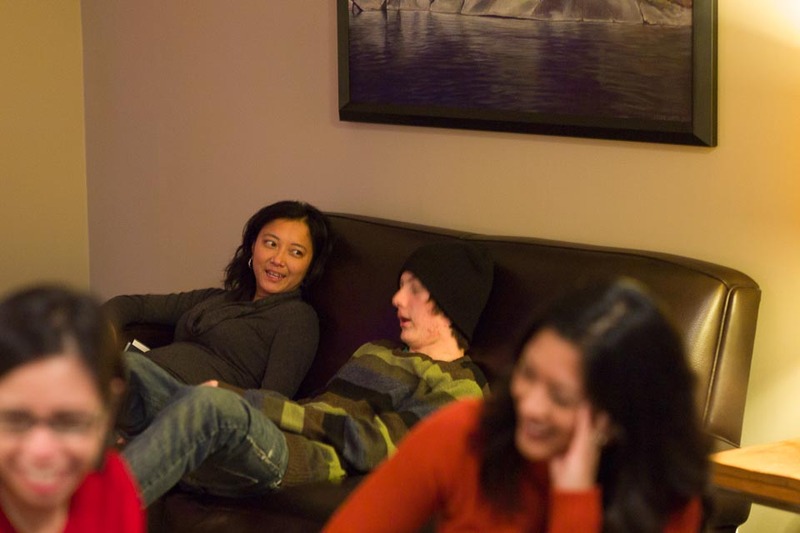 In the photo below Lisa is sitting on the sofa, talking to my son Liam, a cancer survivor. I don’t know the contents of the conversation, but I do remember Lisa telling me that Liam was doing pretty good and it was nice to talk to him. This was two years after my divorce and everyone was concerned about my kids and how they were handling things.